Like a mariner lost in the fog searching for dry land, the music industry wandered into the digital zone over ten years ago. Since then, it has been zig zagging, sailing in circles and only sometimes moving closer to the goal of evolving its business model to fit new realities. The film industry looked on from a distance, content that movie files were too big to be traded and swapped as easily as music. 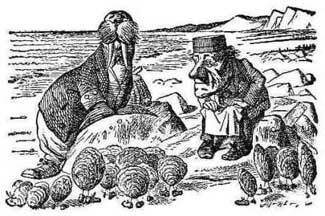 But as the Walrus and the Carpenter smiled at the hapless oysters [before eating them] in Lewis Carroll’s classic poem, technology has now arrived to visit the film industry. The widespread adoption of high speed bandwidth means that downloading or streaming a movie file is becoming common. 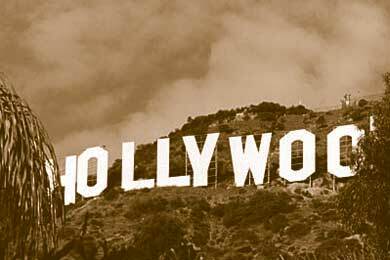 So is Hollywood managing change more efficiently than the music industry? Not so much, judging by the latest tussle between film studios and theater owners. A followup Wrap article presents the other side of the argument saying that predictions of doom are premature since most box office runs are largely over by the time the new windows would take effect. Paramount and Disney have not signed on to the plan, leaving Warner Bros., FOX, Universal and Sony to face the wrath of the theaters. Theaters have fired back at studios by demanding to renegotiate ticket percentages for movies that are part of the new plan. Music observers will likely see some parallels between the two entertainment industries. The film group is in the process of realizing they will have to give consumers what they want, when they want it or suffer the consequences. Today’s increasingly on demand media world means this issue will not go away simply by ignoring it. Theaters are going to have to find ways to make the big screen experience so attractive they can compete with watching at home and shorter windows of exclusivity. Digital piracy will also exert a stronger influence over release schedules as the ability to toss feature film files across the Internet continues to improve. Exactly how the ending will play out for the film industry is unclear, but they are right to experiment and find better ways to meet consumer needs. The music industry was slow to embrace change and has spent over a decade suffering falling sales and decreasing revenues. Let’s hope Hollywood has learned from those mistakes.